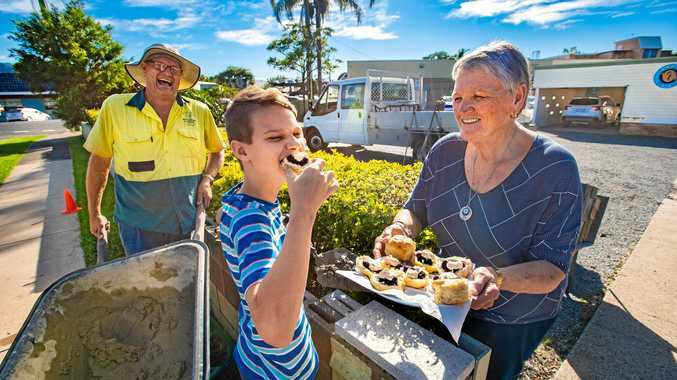 A DISTRAUGHT family stood on a notoriously deadly and unpatrolled beach hoping for a miracle as they watched a major air and sea search for their 11-year-old son. 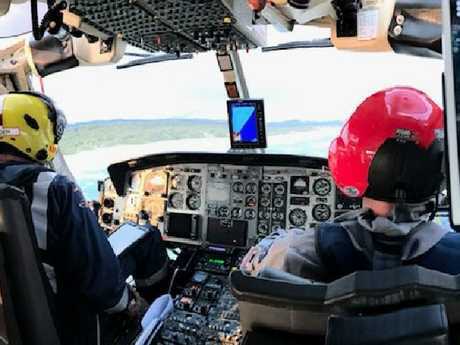 The boy's 17-year-old brother managed to swim to safety after the pair were swept into a rip while swimming in heavy swell at Lighthouse Beach, Port Macquarie at 1.30pm. 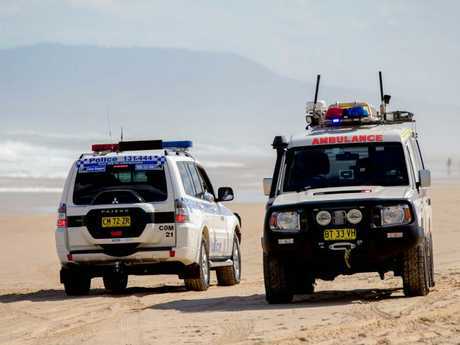 "The 17-year-old is now on the beach with his parents and we are all hoping we can find this young fellow," NSW Ambulance Superintendent David Horseman said. "Every effort is being made to locate the missing young swimmer, we are all working together on scene." 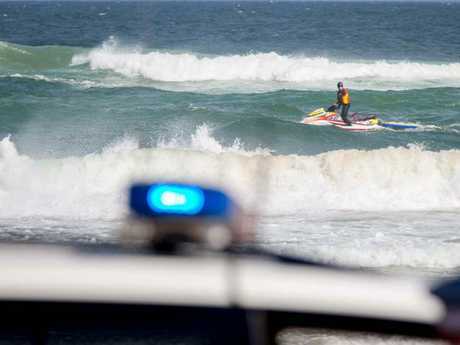 Water Police and Marine Rescue boats searched deep water beyond the 2m waves while a jet ski and inflatable rescue boats scoured the shallows. 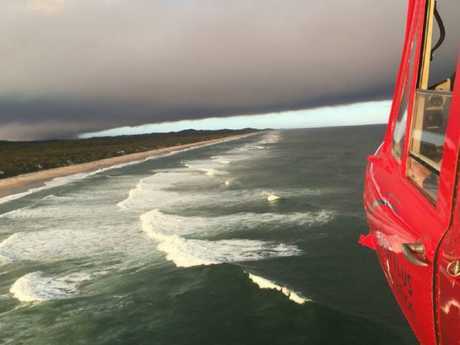 A Westpac Rescue Helicopter and Surf Life Saving NSW drone searched from the air with no sign of the child. "It's about eight-foot, it's absolutely pounding. It would be very difficult for an experienced swimmer, let alone a child," one witness on the scene said. "I can tell you, it's a daunting scene." It is understood the boy's brother tried to save him before making it to shore. The boy's parents watched from a search base set-up a kilometre south of the beach's main entrance. Winds over 30km/h lashed the beach which is not patrolled and has taken lives before. Mother Susan Collins drowned with her two-year-old daughter in her arms in 2002, when she tried in vain to save a nine-year-old girl. And a 69-year-old fisherman died there last year after slipping off rocks into the swell. 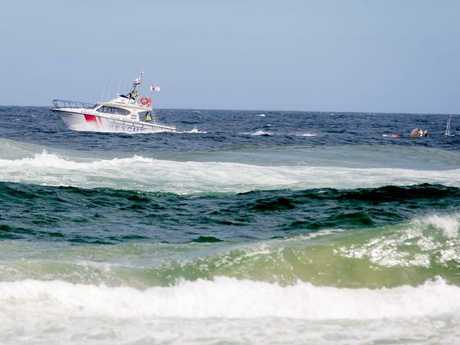 Yesterday's event came just hours after Marine Rescue warned against swimming, boating and fishing on much of the coast. Paramedics have been called to about 50 near-drowning incidents in the past month, prompting major concerns leading up to Christmas. 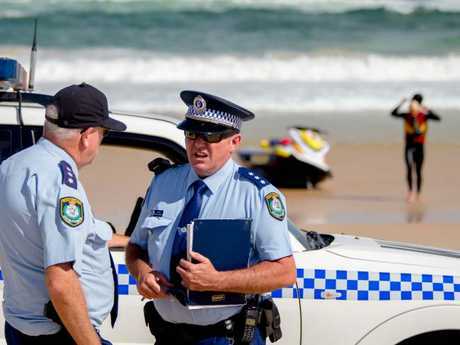 On Monday a 26-year-old man was found floating facedown in the water at Bondi. 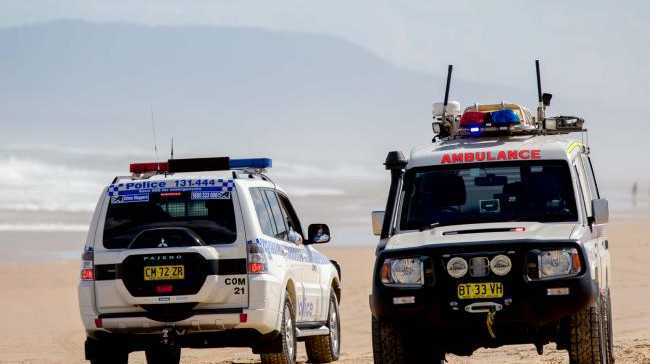 Lifeguards performed CPR on the beach and he was rushed to St Vincent's Hospital where he was still in a serious condition in intensive care last night. A southerly swell moving up the coast prompted lifeguards to shut most beaches up and down the state. 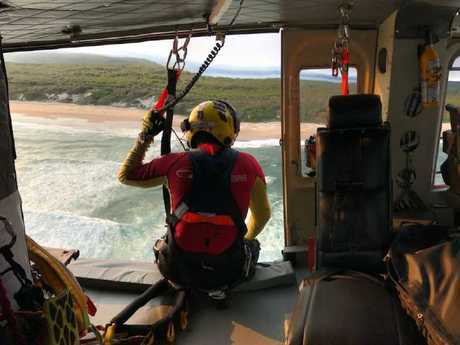 On Sunday, one man died and two others were rescued after their boat capsized near Camden Haven Beach, north of Forster.